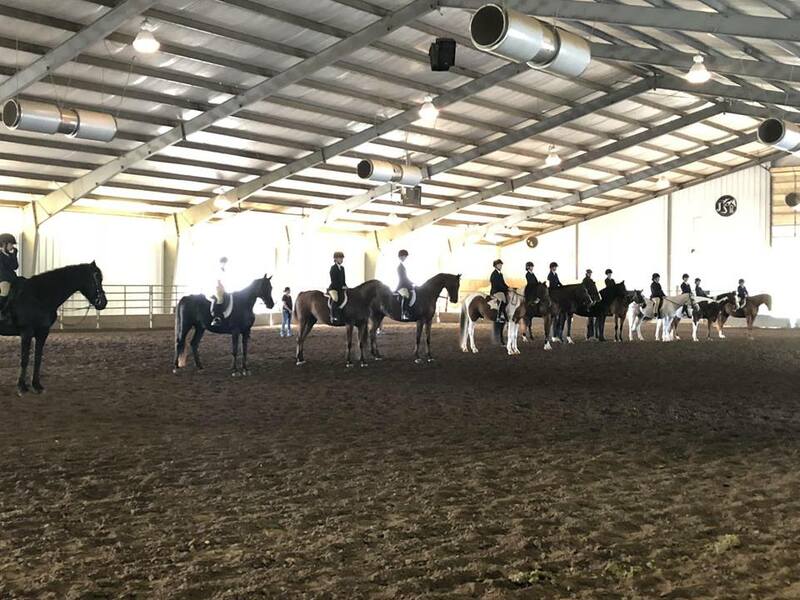 Jasper Springs Ranch is a lovely indoor facility, conveniently located approx. 1/2 mile off of Hwy 45 in Fayetteville at 1469 N. Starr Dr.
For those familiar with the general area, Jasper Springs Ranch is off of Hwy 45 (E. Mission Blvd.) as you are heading towards Goshen. From the intersection of Hwy 45 and Hwy 265 (E. Mission Blvd. & Crossover Rd. ), continue East 0.5 miles on E. Mission to N. Starr Dr. and turn right. Go about 3/4 mile, arena will be on the right. From I-49 in Fayetteville, AR, take Exit #62 and travel east (Martin Luther King Blvd.) for 4 miles to Hwy 265 (the street name will change to E. Huntsville Rd.). Turn left (North) on Hwy 265 (Crossover Rd.) and go 2.4 miles to Hwy 45 (E. Mission Blvd.). Turn right on E. Mission Blvd. and go 0.5 miles to N. Starr Dr. Turn right on N. Starr Dr., and go approx 3/4 mile to Jasper Springs Ranch on the right. Take I-49 to Springdale, Exit #70 (Don Tyson Parkway). Turn left onto Hwy 45 (E. Mission Blvd.) and go 0.5 miles to N. Starr Dr. Turn right (South) on N. Starr Dr. and go 3/4 mile to Jasper Springs Arena on the right. The Pauline Whitaker Animal Science Center is located just to the south of I-540 on HWY 112 (also known as Garland if coming from the campus area). If you are coming towards the arena on I-540, you will take the 112 exit going South. You will proceed until you reach a small road "Knapp". You will notice a large 'wall sign' denoting the 'Pauline Whitaker Animal Science Center'.